DESCRIPTION: These custom birthstone earrings feature your choice of 5mm round stones, bezel set and dangling from a marquise shaped link. Made of sterling silver, these handmade drops are sure to become a staple in your wardrobe measuring approximate 1 1/4" from the handmade ear wires. 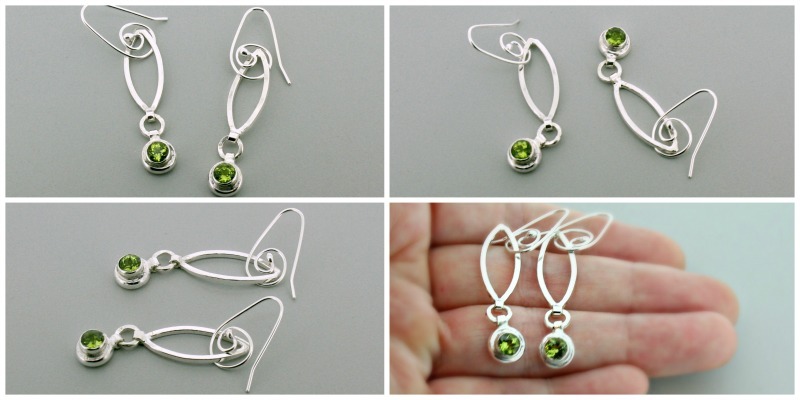 **Photo is an example of the style earrings you will be getting with a genuine peridot birthstone, however due to the handmade nature of the piece each one will be slightly different.